Sashti Viratham, or Shasti, is a monthly fasting dedicated to Hindu God Muruga. Sashti Virtham January 2017 date is January 4 (Wednesday). Shashti falls on the sixth day after Amavasi (no moon) and Pournami (full moon) in a traditional Hindu calendar. The Sashti day after Amavasi is considered highly auspicious by Muruga devotees and many observe a fast on the day. Shasti Fasting is considered highly auspicious and many Muruga devotees observe a 24-hour fast, while some take a single meal on the day. Muruga is also known as Skanda, Shanmugha and Subramanian. 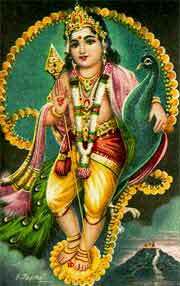 In North India, Lord Muruga is known as Kartik or Kartikeya. On Sashti day, devotees visit Lord Muruga temples from early morning and some people only eat the Prasadam given from the temple. Some temples conduct special pujas and spiritual discourse on the day. There are also temples that provide food to devotees. Shasti Fasting is widely observed in South India, Malyasia, Singapore especially by Tamilians and Malayalis.